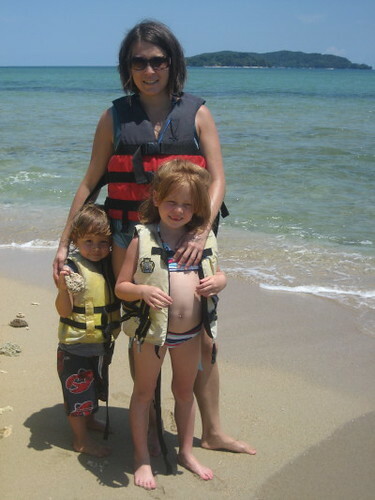 A blog about the ins and outs of living in a foreign country with a husband and two kids. 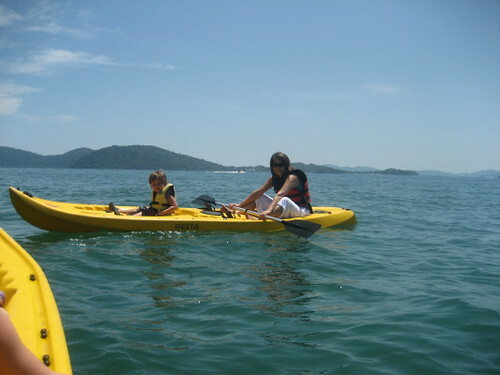 Gemma and Angus on their kayak. 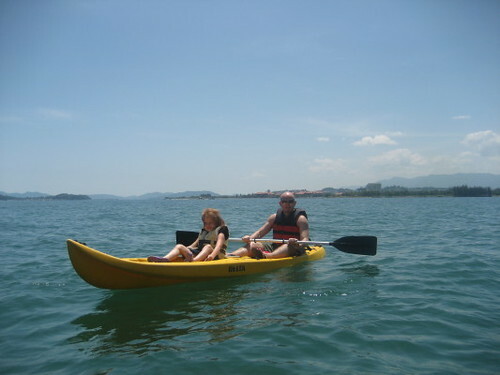 On our last full day in Kota Kinabalu we decided to take a page from our Vietnam adventure and take the kids out on kayaks. This time it was nice and warm and the water was very swimmable. Here are some pictures from our ride. We kayaked out to this little uninhabited island which was about 20 feet by 20 feet. We got off and took a little swim in the water and had a bit of a rest. One thing we did discover on our little kayaking trip is that we really enjoy kayaking and would love to have more of an outdoors type of camping and kayaking vacation in the near future. 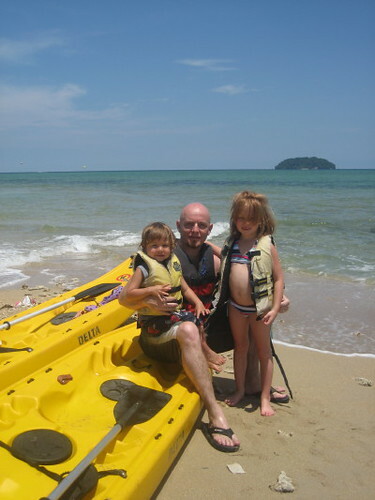 The kids love being on the water and it is quite a good work-out for us. 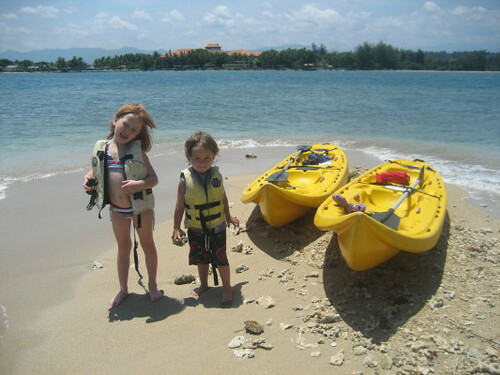 The kids and the kayaks. You can see our hotel in the background.